4 Can You Cure Dry Facial Skin in a Day? Homemade facial masks give your skin a nourishing treat without the hefty price of a spa treatment or brand-name product. If you have dry skin, a moisturizing mask may be just what you need to give your complexion a boost. 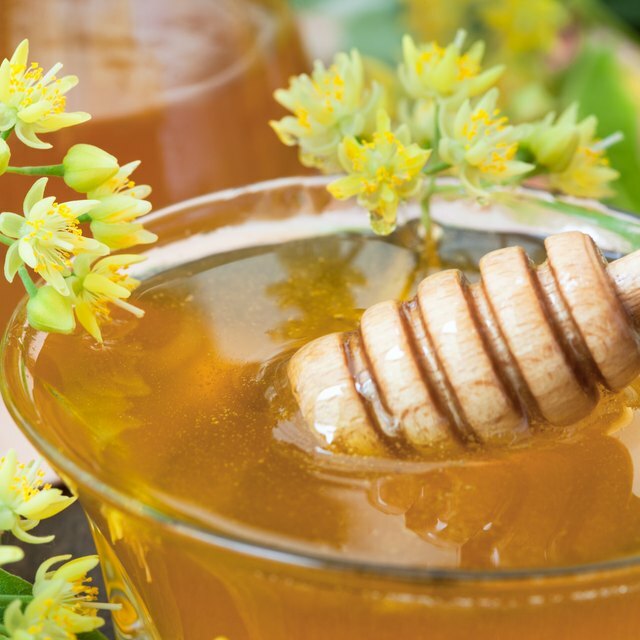 Facial masks with honey can help lock moisture into your skin and prevent bacterial growth. Almonds also provide lubrication and hydration and make excellent mask ingredients. Combine 2 tablespoons plain yogurt, 2 tablespoons orange juice and 1 teaspoon almond oil in a mixing bowl. Stir the mixture until it thickens. Wash your face and neck with mild cleanser and pat your skin dry, leaving just a little bit of moisture on your skin. Apply the mask over your face and neck evenly, avoiding your eyes, nostrils and mouth. Allow the mixture to sit on your skin for 20 minutes. Rinse the mask off with warm water, dry your face gently and apply a thin layer of moisturizer to boost this mask's hydrating benefits. The almond oil will help hydrate your skin and the vitamin C in the orange juice can help minimize the appearance of fine lines and wrinkles, explains Renee Rouleau, the founder of Renee Rouleau Skin Care, in "Good Housekeeping." Mix 3 tablespoons orange juice and 1/2 cup honey in a clean mixing bowl. Stir the mixture to a spreadable consistency, folding the honey into the juice. Spread the mixture over your face after cleansing and rinsing your skin. Leave the mask on for 30 minutes to allow the honey to moisturize your skin. Remove the mask by rinsing your face with warm water and follow up with your favorite moisturizer to keep your skin fresh and smooth. Combine a packet of plain instant oatmeal, 2 tablespoons honey and 2 tablespoons buttermilk in a blender until the ingredients are mixed together well. Pour the mixture into a bowl and set it aside. Blend 1/2 cup skinless blanched almonds in the blender until they are chopped into fine pieces. Pour the oatmeal, honey and buttermilk mixture back into the blender with the almonds and blend for another 60 seconds or until the mixture is smooth. Massage a gentle cleanser over your face and rinse it clean. Apply the mask over your face and allow it to sit for 10 minutes. The almonds will help exfoliate your skin, while the oatmeal soothes it and the buttermilk locks in moisture, explains Lydia Sarfati, founder of Repechage skin care, in "Marie Claire." Rinse your face thoroughly and apply your normal moisturizer. If you have sensitive skin, test the mask on a small spot of skin to make sure the ingredients won't cause irritation. Do not apply any ingredients to your skin that you're allergic to. For example, don't use almonds or almond oil if you have a nut allergy.